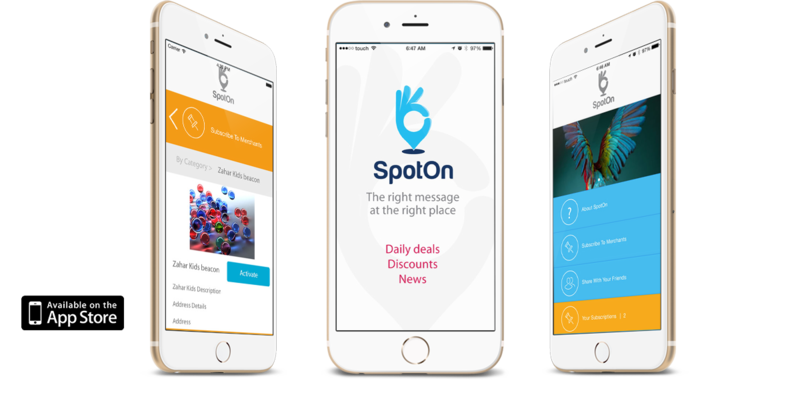 SpotOn is your bluetooth-based proximity app that gives you the best deals, offers and news about your favorite merchant or brand via iBecon technology. Users can follow their favorite brands from categories such as retail, dining, entertainment, etc. and register with listed merchants. Every time they cross by the outlets of those brands with an activated beacon and the app detects it, an API is called and the user gets a notification.